The Behavioral Services Orientation is for parents, family members, and caregivers of a child who has been referred for behavioral servicees. In the Behavioral Services Orientation, parents and family members and other caregivers will learn about behavior services that Tri-Counties Regional Center (TCRC) offers and expectations of parental involvement in their child’s services. This orientation must be completed before behavioral services can begin or enrollment in the Parent Training in Applied Behavioral Analysis can occur. At the orientation, you will also receive information about using private insurance and/or MediCal for autism treatment. If you have been referred by your Service Coordinator to attend the Behavioral Services Orientation please follow the instructions below to register for an upcoming session. An email address is required for registration online. If you do not have an email address or access to the internet, please contact your Service Coordinator. 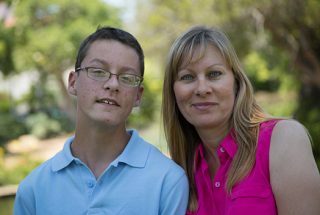 Behavioral Services Orientations will be scheduled QUARTERLY in Atascadero, San Luis Obispo and Santa Maria and EVERY OTHER MONTH in Oxnard and Simi Valley. Santa Barbara will continue to be scheduled with your Service Coordinator. Please contact your Service Coordinator in the Santa Barbara office to schedule.